So guess what, guys. It’s my favorite season. The season of PLANNING AND MAKING AWESOME HALLOWEEN COSTUMES!!!!! I love love love the dressing up portion of Halloween. It is my favorite. 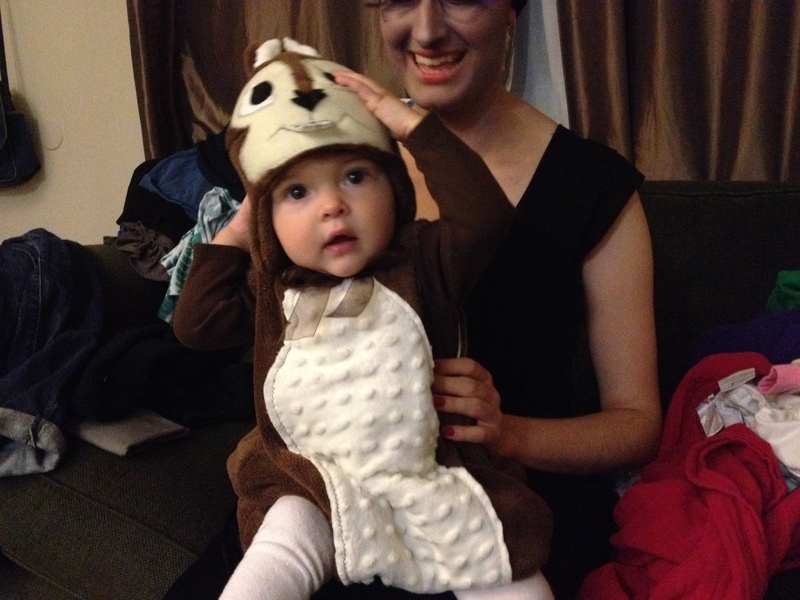 And now that I have a husband and child to dress up in themed costumes with me?! MY LIFE IS COMPLETE. 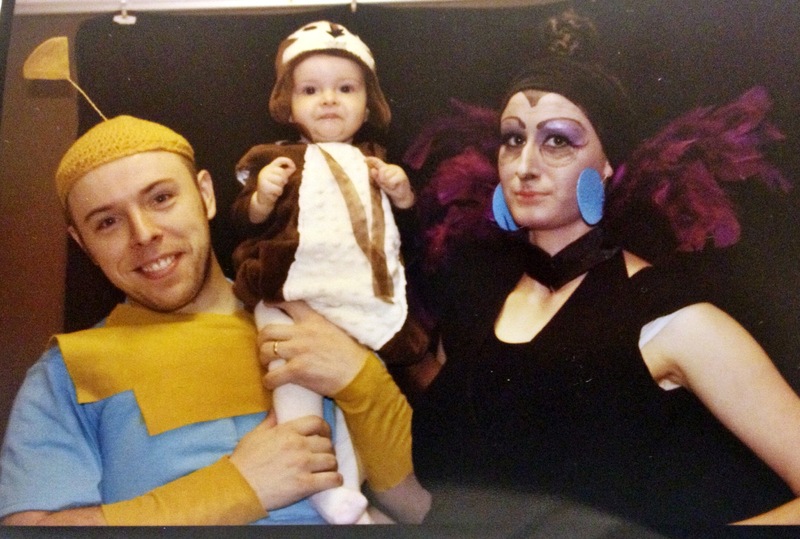 While thinking about the costumes I am going to construct this year, I realized I neglected to post any photos of last year’s phenomenal family costume on the blog! The photos themselves are not very phenomenal — next time we’ll have to remember to take decent ones, but OH WELL. Without any further ado, I give you…. 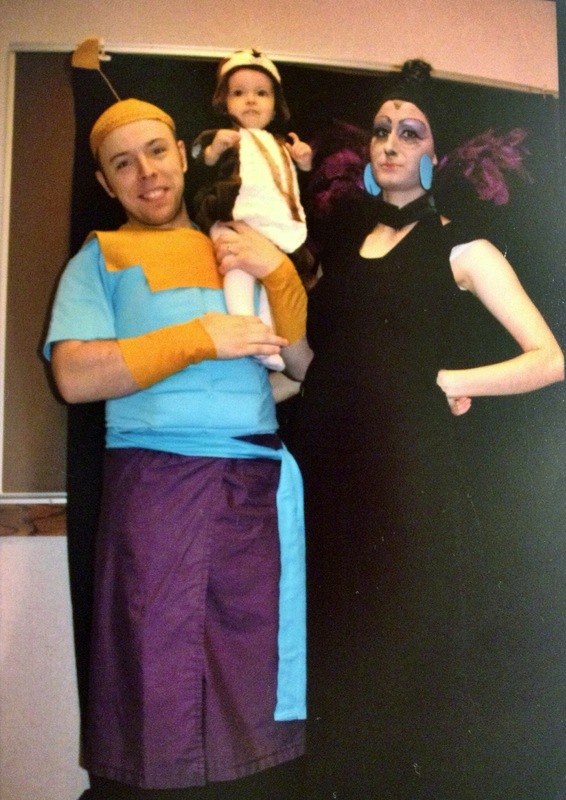 KRONK, YZMA, AND BUCKY (squeak squeaker, squeak squeaken)! 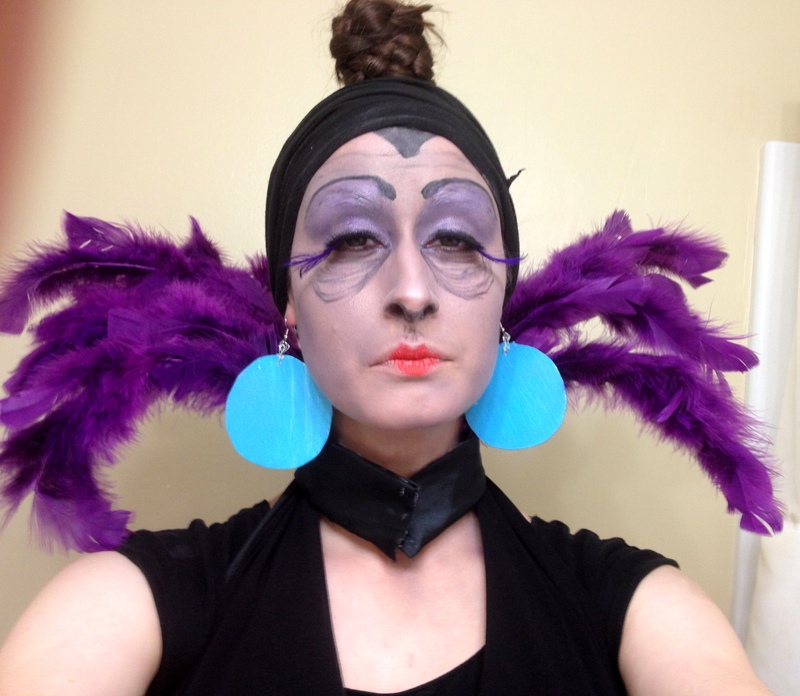 Close up of my Yzma makeup! So, there you have it! The only photographic evidence in existence that we actually dressed like this in public. Haha! if the original youtube uploader is infringing on Disney copyright by putting this video up I’m sorry for using it! What are YOU doing this Halloween?! Oh and here’s a list of things I made for the costumes, for those who are interested! If you are trying to make a costume yourself and have questions, leave a comment! KRONK: Crocheted hat (with floral wire and felt for the “stem”). Muscle shirt with felt appliques. Felt+velcro arm bands. Elastic waist wrap skirt. Long sash. He wore athletic shorts underneath and regular tennis shoes, because my hubs doesn’t ever wear sandals. 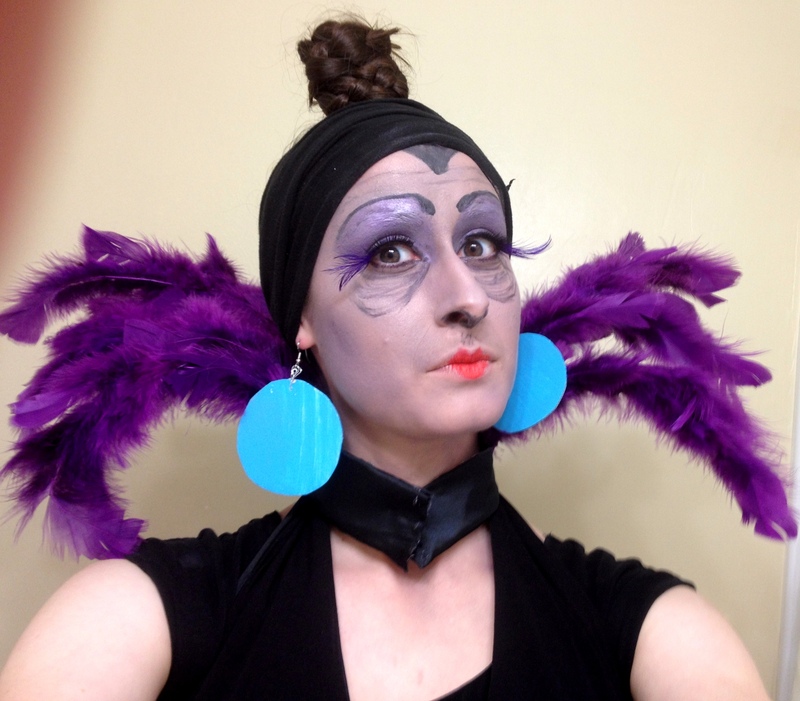 YZMA: Collar (made with floral wire, craft feathers, LOTS of hot glue, reinforced fabric, closes in the front with a snap). Painted cardboard earrings. Head wrap from an old t-shirt. I wore two sets of false eyelashes, and a black maxi dress borrowed from my Mom. 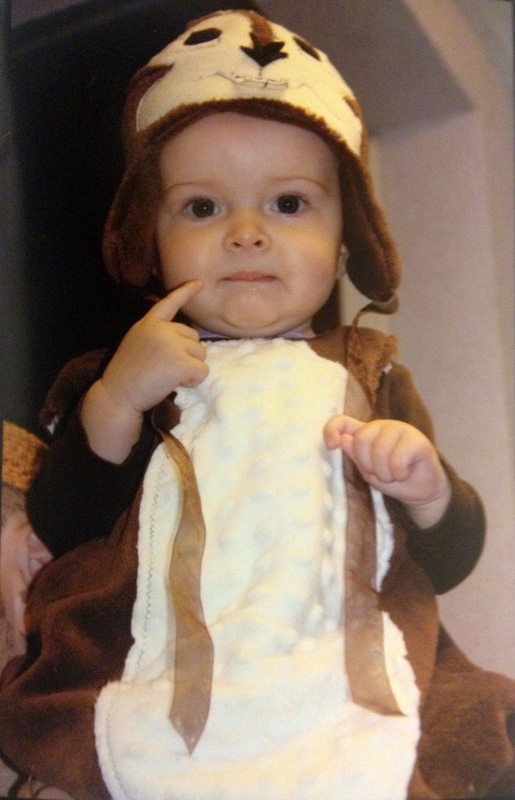 BUCKY: Hat (fuzzy fleecy fabric with ears attached and felt applique for the face). Puffy body (fuzzy fleecy fabric lined with an old t-shirt, sewn like a bubble skirt. Stuffed tail attached in the back). 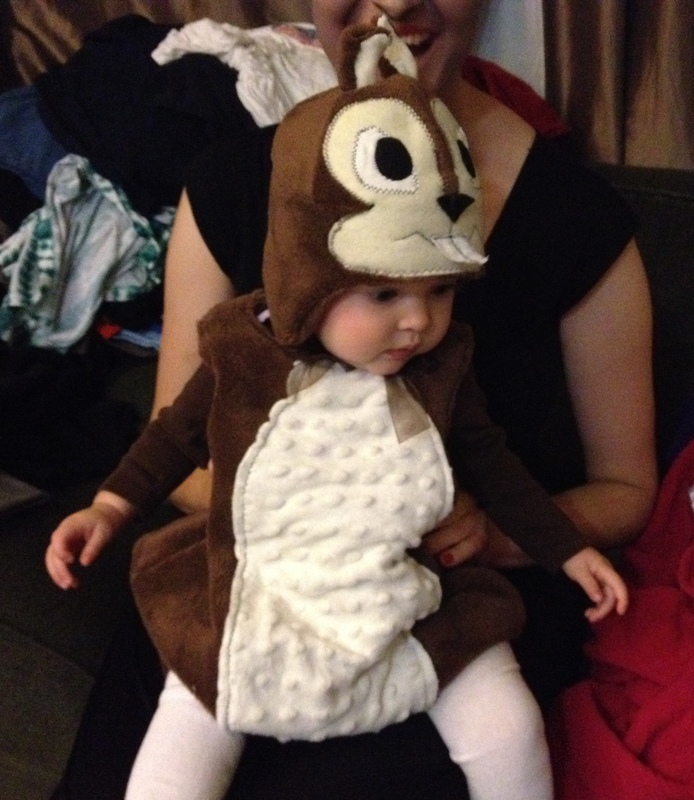 She wore a onesie and tights underneath.